Call our heating contractors today! When you own a home, you need to maintain your heating, cooling, and plumbing system. The last thing you want is your A/C to break down or your hot water tank to stop working. Sewage leaks and structural damage to your home aren't problems you should have to deal with. That's where the AC contractors at Catalano Plumbing & Heating in Olean, NY come in. Don't take a cold shower ever again--let our heating contractors fix your problems! We are committed to providing professional, honest and affordable service. Consult our experienced AC contractors. We all know how brutal Western New York winters can be. There are many ways to heat your home, but some ways are more effective than others. For an efficient system that will save you money and still keep you nice and toasty during the worst winter storm, Catalano Plumbing & Heating has you covered. Has your AC unit stopped working? Do you need to replace your old, damaged AC? Whatever your needs are, our AC contractors have you covered. We provide comprehensive HVAC services for clients in Olean, NY and the surrounding areas. We can handle new installations and repair work. We are always on time, and you can count on us to handle any and all of your HVAC needs. Get in touch with our AC contractors today! With years of experience, our technicians can assist you with all your HVAC needs. Whether you need your AC repaired or replaced, we are the AC contractors to trust. We can come inspect your AC unit to determine the how much work is needed, perform repairs, or replace it if absolutely necessary. We offer all our services at competitive prices. If you reside in Olean, NY or the surrounding areas, contact our AC contractors for immediate assistance. As experienced heating contractors, Catalano Plumbing & Heating can install or repair your system to ensure you and your family are kept warm every winter. Here at Catalano Plumbing & Heating we can install boilers, radiators, and new fixtures such as hot tubs and Jacuzzis. Whether the job is big or small, simple or complex, Catalano Plumbing & Heating can help! In addition to heating systems, our AC contractors fix broken air conditioning systems. Even though Western New York is known for their brutal winters, the summers can be just as difficult to get through. If your A/C is broken, the AC contractors in Olean, NY will be there within minutes. 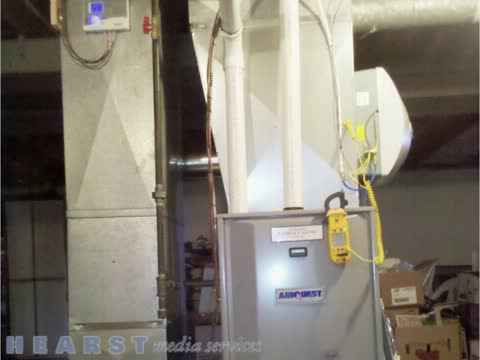 We provide the highest level of quality in new furnace installation. All of our heating contractors work with the owner of the company, so you know you're receiving quality service. They have years of experience with furnace installations and much more, so understand that your furnace will be replaced by experts. The plumbing contractors at Catalano Plumbing & Heating are able to fix your plumbing system no matter what the problem could be. You'll know if you need a sewer repair if your backyard has excessive sewage or water. A putrid smell could be coming from your garbage disposal system or from your basement. Speak to plumbing contractors that know what they are doing. We are experienced heating contractors in the Olean, NY area. Speak to a plumber at Catalano Plumbing & Heating for excellent home maintenance. Your heating and cooling system will be fixed in no time! PLUMBING: Hot Water Tanks * Gould's Water Pumps * Water Softening & Filtration Equipment & Installation * Sewer Cleaning * Video Inspection * All Plumbing Repairs. Dunkirk, Furnaces, Empire Furnaces, Gould's Water Pumps.